The gold bullion may be obtained through Prepaid Gold Forward Sales Contract and out of the gold mining production with considerable discounts of 20% to 30%. GOLDIVANTI LP is Scottish Limited Partnership for marketing and trade in precious metals and diamonds. We are the investment company with the current focus on gold mining in Tanzania. We started the trade of gold, silver, platinum, palladium, rhodium and polished and loose diamonds back in 2009, in Europe. We have investment in Tanzania: Start Your Own Gold Mine, the company that is developing multiple mining sites and helping foreign clients start in gold mining activities. The mining site development stages are not as simple steps to do and require much of the investments. Since few years, we have developed a program to start a gold mining operation quickly and easily. Through investment into gold mining, we are able to offer gold as end product for our clients. Our company is registered in United Kingdom on 3rd November 2009. Registered number is SL007452. The current General Partner is Goldivanti Mining LLC. The authorized individual is Mr. Jean Louis. We have several limited partners, investors. We may be interested to buy gold, and other precious metals, and we may be able from time to time, to sell gold including to provide true facilitation in the trade of gold and diamonds. We welcome anyone to contact us. We may sell gold bars, gold bullion bars or investment gold as produced by LBMA members, such as renowned from Austria, Switzerland, Germany, U.S. and other countries. We are also a skilled gold buyer. Even while we have lost some parts of our investments, nobody could yet cheat us with fake gold deals, and this is not going to happen in the future. We are also able to convert gold dore bars into gold bars and gold bullion bars, which we then in turn sell to our clients, with affordable discount of 20% to 30% with the gold price being fixed in advance. Such discounts come with profit, and also with its risks of business. Any other gold that is ready available from our side is then sold to gold refineries and gold traders who are paying spot prices or almost the spot prices. Acceptable buying prices for us is 98% to 99%. 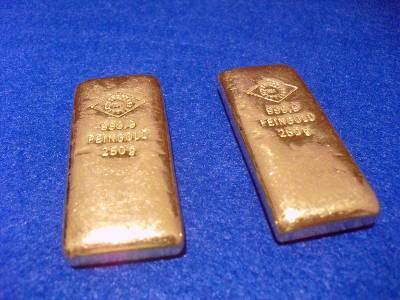 Prepaid Gold Forward Sale Contract, with the LBMA recognized gold bars and discounted for 20% to 30%. Gold sourced from gold trade, purchases of gold in Tanzania and purchases of scrap gold from Europe. This type of gold is in various forms and is sold directly to gold refineries and gold dealers. We do not accept less price than 98% for it. Gold that is produced through Start Your Own Gold Mine programs and gold mining operations. That gold is other produced under the Prepaid Gold Forward Sale Contract and is then sold for the benefit of our clients, or is produced and sold to gold refineries and gold traders, who pay 98% to 99% gold price. 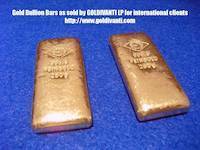 GOLDIVANTI® INVESTMENT GOLD is gold bullion or investment gold bars which we sell with the discounted price through the Prepaid Gold Forward Sale Contract. agreements. The Prepaid Gold Forward Sale Contract is thus financing the new set of equipment, by which our company in Tanzania opens up new small location on the present mining site, and produced by separate agreement gold for the gold buyers. The gold produced in the gold mine, is not the gold that is delivered to the buyer of such gold. The gold that is produced on the mining site is immediately sold for cash, and gold bullion or investment gold is bought with the gold bullion producers with the arrangement that it be shipped to the buyer's address. All such deliveries are insured in transport. 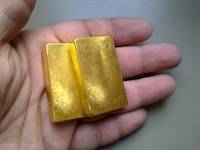 Gold may be also brought personally to the doors of the buyer and it may be also delivered directly to the bank, so that buyer may put it in the safe deposit box. We may accept all kinds of currencies, including cryptocurrencies such as Bitcoin. Delivery times may be few months, and cannot be guaranteed. The expected delivery time is 6 months. Clients are advised to visit us, before making decisions. We may ship gold to any country. Discounted price: 20% for 1 kilogram of gold, 30% for 2 kilograms. Minimum Order Quantity: 1 kilogram, maximum 2 kilograms in first transaction. Packaging and transport: Insured courier delivery anywhere within EU, US, Japan, Israel. For any other countries, special arrangements to be made. Delivery Time: expected is 6 months, while contract duration is 12 months. Supplying Ability: 2 kilograms within 3 months of work. Preparation may take 3 months, in the first transaction. Payment Type: wire transfer to our associated companies, including any crypto-currencies such as Bitcoin. Payment Due: Upon signing of the Prepaid Gold Forward Sale Contract. Clients may be companies and individuals. Customized Hallmarks: Available by special order, your brand on the LBMA member produced gold. This kind of customized hallmarks is not going to allow sale of gold without smelting or refining. The gold price, as published in troy ounces is converted to gold price per gram, and 70% to 80% of the gold price is calculated for the GOLDIVANTI® INVESTMENT GOLD orders. The client pays 70% to 80% of the gold price to our company GOLDIVANTI LP and upon the delivery, client is able to sell the gold either to banks or to partner companies for the price of 100% at that point of time. Banks which accept gold for spot prices, that we know and recommend are located in Switzerland, Austria and Germany. Clients may sell the gold where they wish and want. Alternatively, whole trade may be arranged through us directly. 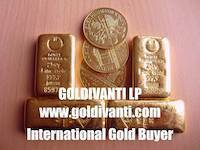 Our company GOLDIVANTI LP guarantees that upon the delivery, client will get 5% to 30% difference in relation to the gold price at the day of the delivery. This means, if the gold price falls in the mean time, the client will get, after the delivery of gold bullion bars, additional deliveries of gold in small quantities, so that the actual difference on the day of the delivery and in relation to the gold price on the day of the delivery is again profitable. If the gold price remains the same or goes higher, only the original quantity of gold is delivered. Order is made upon the signing of the contract. Client has 5 business days to submit the payment. If the payment is submitted later, we have the right to ask for the difference in gold price in relation to the later point of time. If the client does not commence, or does not make a proper payment by wire transfer to our account, upon the properly fixed order and gold price, a fine of $2,000 will be due. The expected and estimated real delivery time, which is not enforced by contract shall be 90 days. After few deliveries, the delivery time may be shortened, all depending of the location of the client and handling of insurance and shipment on our side in relation to the address of the client. We are not a public company, and all risks of mining are involved in such agreements. People may get sick, there are diseases, machines may break, there can be third party thefts. Clients are advised to inform themselves well prior to investment into gold forward production agreements. Today we are investing to Tanzania through the company START YOUR OWN GOLD MINE LIMITED, which is our investment and wealth generation plan. We have got mineral rights in Tanzania through contracts, and have control over good mining sites. Such sites are in activity with more than 1000 miners per day, and with our control, we may remove the miners, put our machinery, and produce gold just for us. In order to finance such development, we have devised the Prepaid Gold Forward Sales Contract, which is offered from http://goldivanti.gold website. That means 20% to 30% discounted gold we may offer to the investor. I know that interest rates in UK are less, and that such investment profits may seem high at first sight. You need to consider that price of gold on mining sites in Tanzania is already 80% of the market price. So by simply buying gold, one could get such interest or profit back. The Prepaid Gold Forward Sales Contract is a contract between two parties to deliver the gold in the future for prepaid payment and at a price agreed upon the time of the contract. The Tanzanian mining company Start Your Own Gold Mine agrees to deliver gold bullion or raw gold at some time in the future in return for the agreement and payment from the other party. 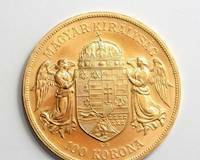 The mininig and production of such gold is thus being financed by the buyer of gold bars for the mutual win win situation. We also sell and deliver gold to Iran where Iranian companies and citizen are responsible for importation and any other formalities.